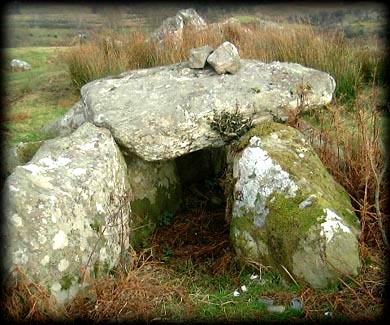 Carricknamoghil megalithic tomb is situated about 3 1/2 kilometres north of Killybegs. 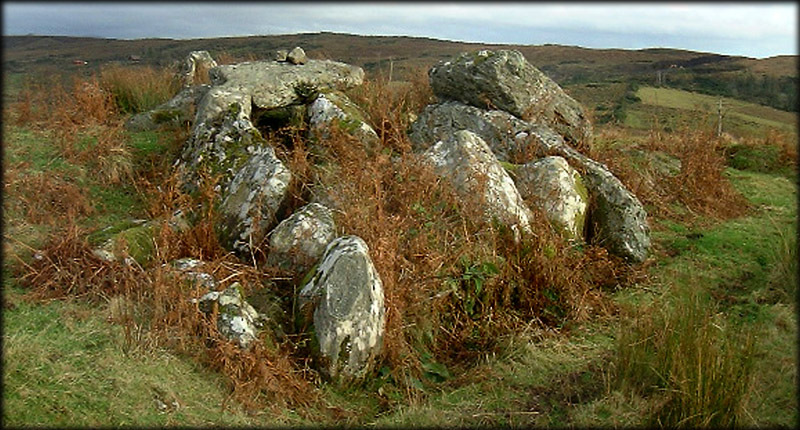 Known locally as Dermot and Grania's bed the tomb is actually a court tomb, on first appearance the tomb seems quite ruined but on closer inspection you will find a lot of the tomb is still there including a gallery with chambers to the west and about 8 metres to the east another chamber, you can see the western gallery below with some of the roofstones resting against the walls of the gallery. 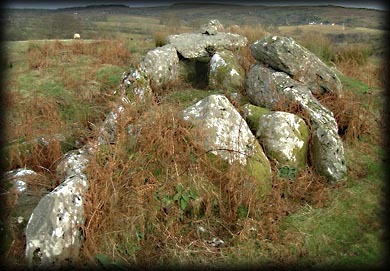 The image below was taken from the track that leads up to the tomb, on the right is the second chamber and just visible to the left the main gallery. 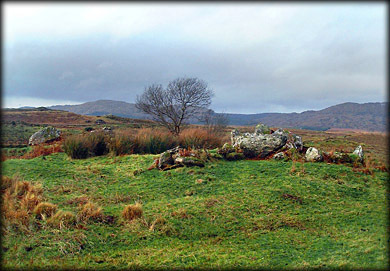 Although some what neglected this site is in much better condition than the court tomb at Cashelcummin three kilometres south of here, where the landowner seems to have built a driveway through the court with little or no regard for the megalithic monument. Situated: From Killybegs take the R 263 north for Donegal town after 2 kilometres take a left for Ardara the N 56, then take the next left , then right at the T junction just after the third left is a row of houses one of which is set back from the road, left of this house is a track that runs 200 metres up to the tomb. Discovery Map 10: 7267 8027. Last visit Nov 2002.